Filmmakers Without Borders (FWB) is an educational nonprofit organization that is dedicated to empowering the next generation of young digital storytellers from underserved communities. FWB provides funding and support to a variety of youth media and independent film projects via various filmmaking grants and film competitions. FWB works in classrooms around the world and delivers a variety of professional development and training opportunities to enable educators to harness the filmmaking and media production process as a vehicle for cultural exchange. 1 — Fellowships. 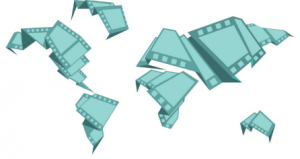 FBW sends experienced filmmakers and educators around the world to teach filmmaking, media literacy, and technology skills to students from underserved communities. Fellowship placements are available across Africa, Asia, and Latin America. 2 — Grants. These are grants for independent filmmakers. Supported projects include narrative films, documentary films, and new media projects that align with themes of social justice, empowerment, and cultural exchange. 3 — Awards. Prizes and honors are awarded to a variety of narrative, documentary, animation, experimental, and new media projects each year. APPLICATION (for 1-2-3 preceding): Each of the programs above has its own criteria, application process, and calendar schedule. Grants are to individuals of any citizenship or residence. FWB provides the address of its headquarters in NYC and a contact form on their website. FWB provides the email addresses of each department.